When you are concerned about dog health, blood in the urine is something that should always be checked out by a veterinarian. Blood in the urine can indicate a potentially serious health issue or something as minor as a urinary tract infection. However, even a minor infection can grow worse if left untreated. Infection: An infection can be minor or more serious and observable symptoms may be mild or severe. There are many infections that affect a dog's health and cause blood in the urine, including bladder infections, kidney infections and even irritation of the prostrate or urethra. Urinary tract infections tend to happen more often with female dogs but males can get them as well. Many times, these infections are treated with a course of antibiotics and/or a special diet. Stones: Kidney and bladder stones can create strain and cause blood in the urine. Female dogs typically have an easier time passing stones than males although the process can still be quite painful. Medication to break up the stones is sometimes helpful. There are a few other treatments available, with surgery being a last resort. Injury: You'll likely know if your dog has been in a bad enough accident to cause possible injury, but this isn't something that can be ruled out. 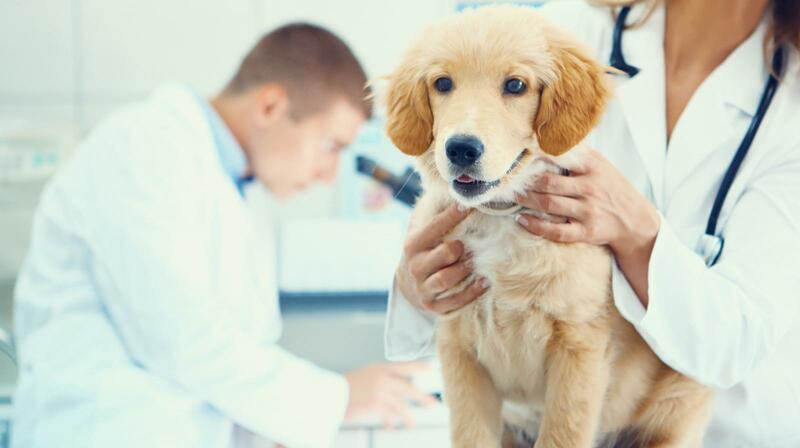 Blood tests often help a vet rule out causes, such as an infection, so a trip the vet is necessary when it comes to dog health, blood in the urine. Tumors: Tumors, both cancerous and non-cancerous, can cause blood in the urine. Your vet will want to run tests to find out if the tumor is malignant or not. Your vet can discuss options for treatment with you, many of which will be based upon the extent of the tumor and your dog's age. Poisoning: Although other symptoms typically show up first in a poisoned dog, blood in the urine can be one of the symptoms. You can see why it becomes vital to get your dog to the vet quickly when there is blood in the urine. With conditions such as poisoning, early treatment can mean the difference between life and death. Bleeding disorders: Problems with blood clotting and other bleeding disorders can lead to a dog having blood in their urine. Examples of blood disorders that can affect the urine are von Willebrand's Disease and Rocky Mountain Spotted Fever. Stress: While stress alone cannot cause a dog to have blood in their urine, it can lead to your dog's immune system becoming susceptible to infections, particularly urinary tract infections. Cancer: Some forms of cancer are associated with blood in the urine, such as kidney and urinary tract cancer. Dogs that have blood in their urine and urinate frequently should be examined by a veterinarian for transitional cell carcinoma (TCC) which is a cancer of the urinary tract. TCC is rare but does have a genetic predisposition in West Highland Terriers, Shetland Sheepdogs, and Scottish Terriers. The color of the blood in your dog's urine can give you clues as to what may be ailing them. If the urine is a bright red or pinkish color, this indicates that your dog probably has a urinary tract infection. More serious conditions associated with these colors are cancer, physical trauma, cystitis, or a blood clotting disorder. On the other hand, if the blood in your dog's urine is a dark color that is reddish-brown or even brown or black, this indicates damage to the blood cells has occurred. This indicates your dog may be suffering from physical trauma or exposure to toxic substances and needs to see a veterinarian right away. Some dog breeds seem to be more prone to developing kidney stone and renal issues than other breeds. 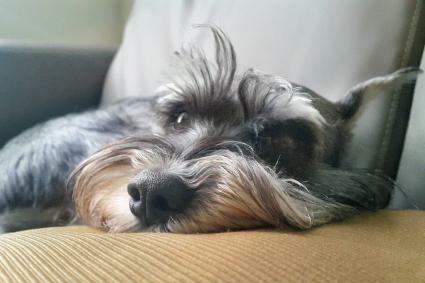 Some of these breeds include Dalmatians, Lhasa Apsos, Miniature Schnauzers and other toy breeds. That does not mean that other breeds cannot develop the stones, just that these breeds seem to be more common in developing them. If your dog develops kidney disease, there are a few things you can do to help treat your dog, including purchasing food specially formulated for dogs with kidney disease and making sure the dog drinks plenty of water on a regular basis. If the kidneys are not functioning at full capacity, the importance of water to flush out impurities becomes even more vital. By the time blood appears in a dog's urine, the underlying problem causing that symptom is usually pretty serious. This is one situation where you don't want to delay or look for home remedies. Even if it necessitates a trip to the emergency veterinary clinic, you should seek treatment for your dog as quickly as possible. Blood in the urine indicates at a minimum that your dog is in some discomfort and pain and may mean they are suffering from a serious illness.